At PJR Oven Cleaning we pride ourselves in giving the customer the best possible service. With extensive experience in the oven cleaning industry we are able to exceed the customer’s expectations, transforming dirty ovens back to showroom condition. This is achieved by using knowledgeable specialist technicians using the best equipment and eco friendly household safe products. Your Phone Please enter a valid phone number. We are based in South Manchester and service Greater Manchester, Cheshire and the Wirral. 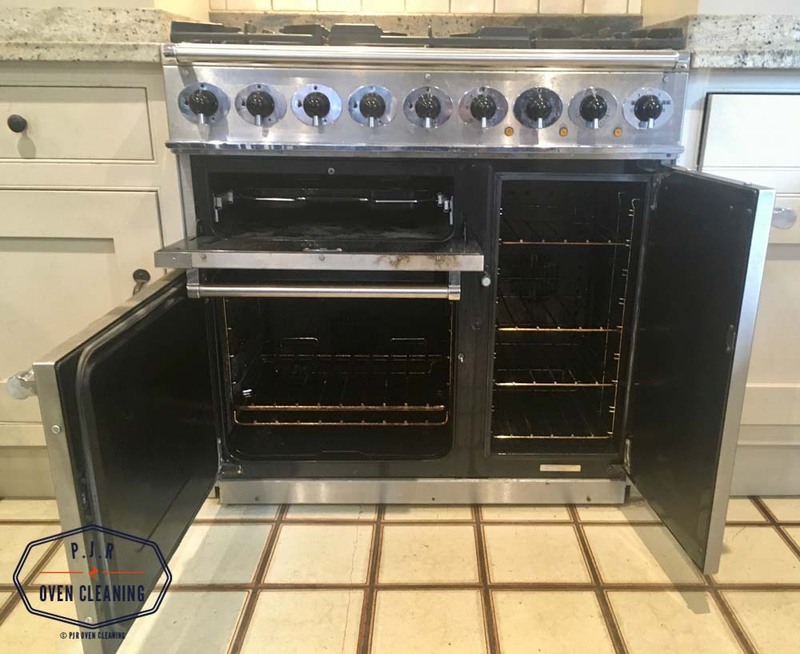 P J R Oven Cleaning did an amazing job. It looks like brand once they had finished. I highly recommend their services and will definitely use them again in the future. 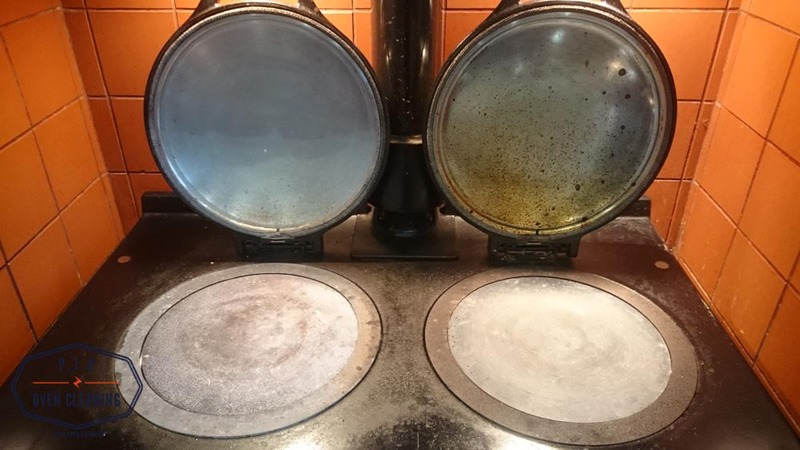 I have used a few local oven cleaning companies in the area who I thought had done a good job, then I used PJR Oven Cleaning and realised that the original cleans were average in comparison. My oven looks like new again. Thank you so much. Fantastic Job! Friendly and reliable service. Would recommend to anybody. Amazing service start to finish. Professional and friendly service. Will be using Peter again and recommend to others. 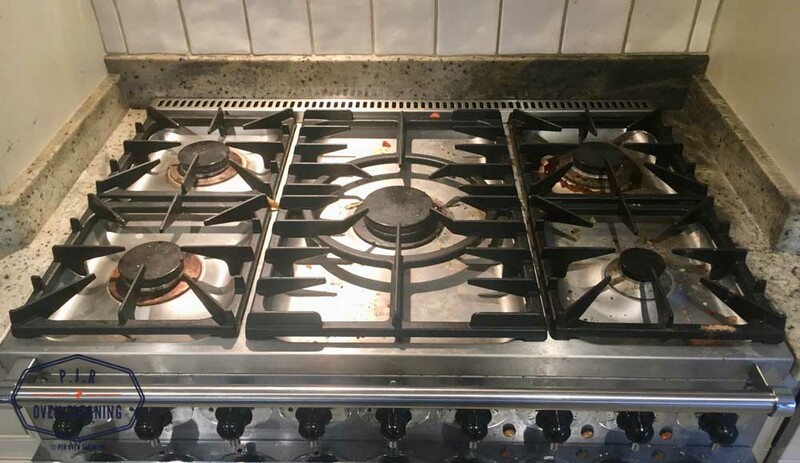 How often should I have my oven cleaned? You should be looking to have it cleaned at least once a year. In bigger households where the oven is in constant use, then I would recommend six months or less. 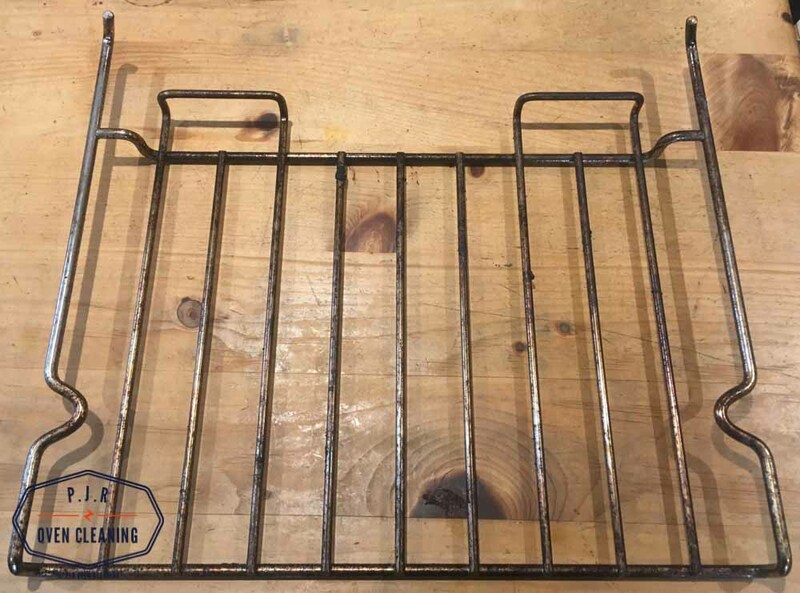 It’s important to check the condition of your oven on a regular basis against a build up of grease and fat collection, which could potentially be a fire risk. 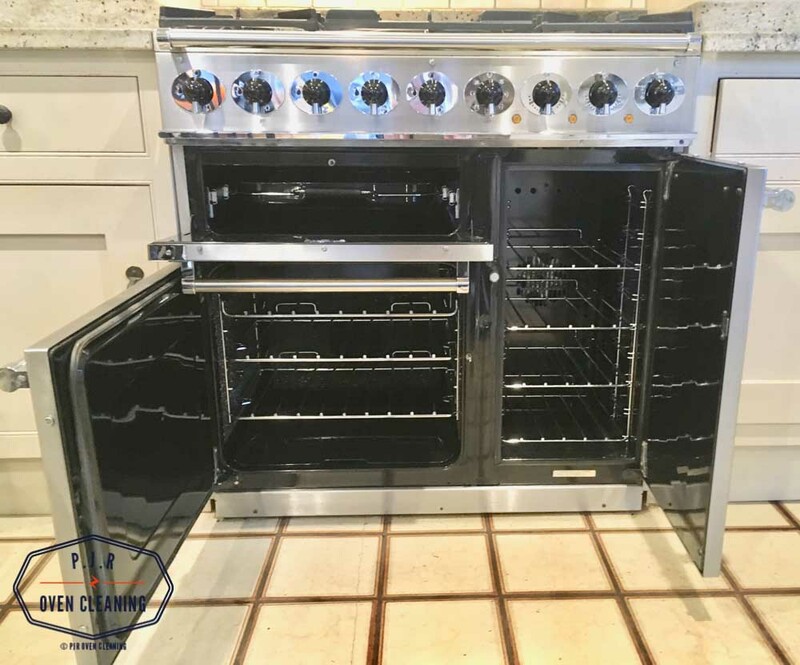 Why should I use PJR Oven Cleaning? Oven cleaning is generally accepted to be the most unpopular household task. 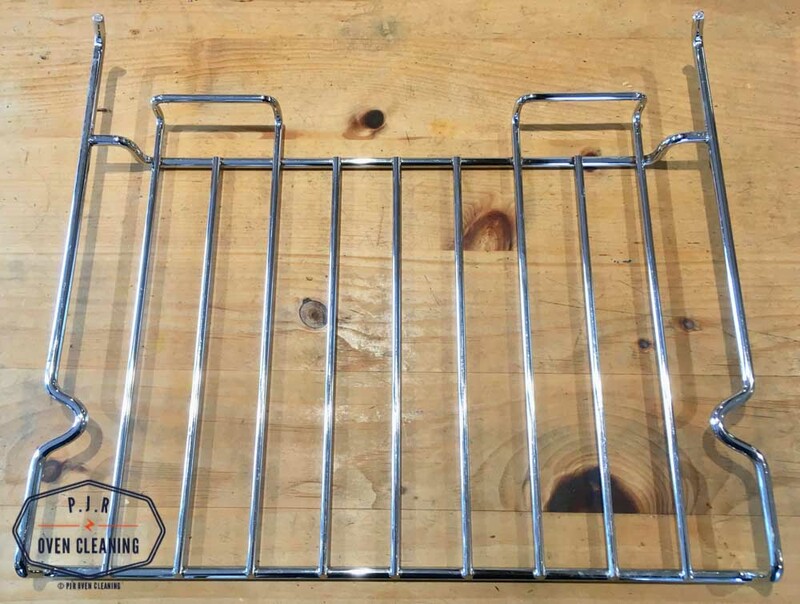 Many people who have decided to buy off the shelf oven cleaning kits have found the results less than impressive they also carry health risks if used incorrectly. For the job to be done correctly I would recommend a fully insured experienced professional using the correct products and equipment. Yes the majority of oven doors can be removed, and then the inner and outer pieces of glass can then be cleaned. Once the cleaning is completed how soon can I use my oven? The oven is ready for use as soon as the clean is completed. How long does it take to clean an oven? 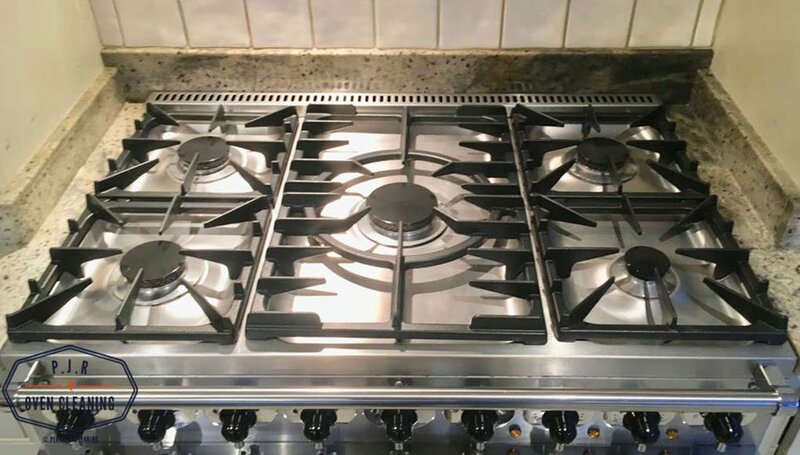 The time depends on the general condition of the oven, plus adding appliances like a hob clean and extractor clean will add time to the appointment. The general time required for a single oven is 1 to 1 ½ hours, for a double oven 2 to 2 ½ hours. 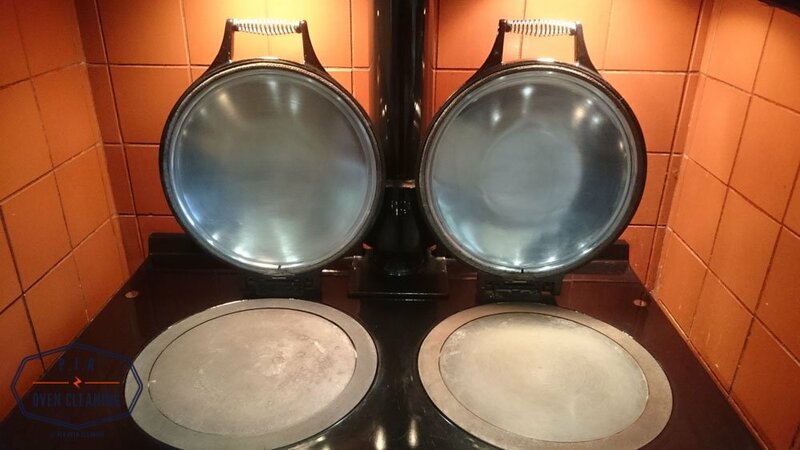 For AGA’s and Range Cookers they require 3 to 4 hours work. Firstly care and attention is taken so working areas are protected. A cover is placed in front of the oven to insure that no dirt and debris contaminates your kitchen area. The oven is inspected pre clean for visual defects, this could be scratches or impact marks then functional issues like broken switches, broken buttons and broken glass light housing etc. Then the cleaning process begins. Removing the oven racks and grill trays placing them in a bespoke heated cleaning tank fitted in the van. Leaving them to dwell in a eco-friendly solution. On removal they look like new. Work carried out in the oven, requires no use of caustic products, this insures that no self-cleaning panels will be harmed, and wont be effected by future corrosion. On completion I ensure the area is clean and tidy. All the work is fully insured.